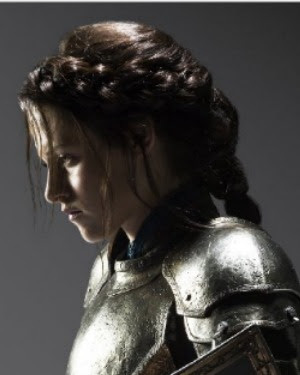 We first saw this braided style (in the picture above) on a poster featuring Kristen Stewart in battle armor holding a shield. We took our family to see the movie "Chipwrecked" back in January and noticed a few movie posters in the lobby advertising the new movie, Snow White and the Huntsman. The Princess and I both immediately fell in love with this hair style when we saw it and decided to try and recreate it. We looked all over online and never could find a good view of the back of the style though. So, I am unsure if there is actually a braid in the back, or if it is a series of ponytails, or something else entirely. I guess we will see when the movie comes out in June! This is our take on the hairstyle from what we could see. And... we did change things up just a bit because the Princess was headed to school the day we filmed this. Although I love the messy strands hanging down in the original style, I can't really see that working for a school day. So, I'm curious. After studying the hairstyle on Kristen Stewart.... What is your best guess as to what the back of this hairstyle actually looks like? Leave a comment and let me know what you think! I like it! I wish my daughter's hair were thicker, so I could do this style. I also think it might be a puffed-up ponytail with a series of bands going down it. But, if it is, I like your version a Lot better. Can you please do my daughter's hair! ;) She has so much I don't know what to do with it. I like the way you did the back. Very Pretty! 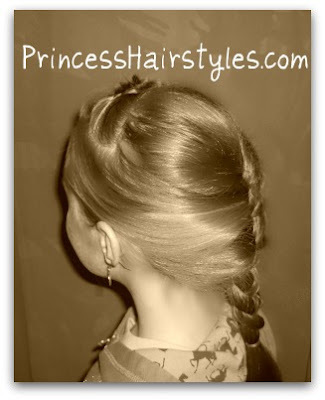 I am actually doing a hunger games braid post tonight! What a cool tutorial. You have the neatest hair styles! Very pretty! The movie looks amazing! This could be dressed up or down and either way, it's beautiful. Awesome style! That is such a beautiful hairstyle and I love how you make it look so simple! I wish I could do this! My daughter is always begging me to braid her hair, I need to practice more! Lovely. You are so talented. *I* would wear my hair like this. LOVE IT. 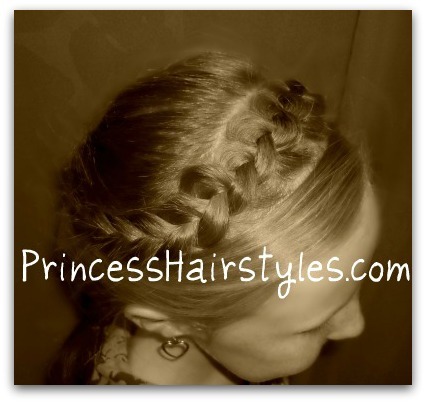 You have some of the best hairstyle ideas! 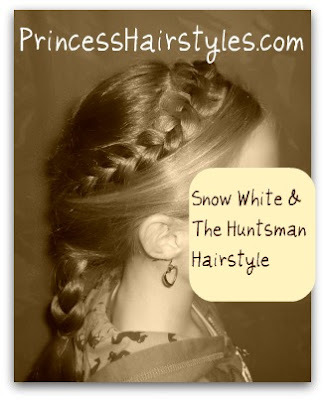 Awesome job with this snow white and the huntsman hairstyle! I love braids. I like the Braid hairstyle. I feel like a princess in the castle. The style is simple but elegant and I know every single ladies are happy when they seeing it. and check out the trailor! found a pic on google.